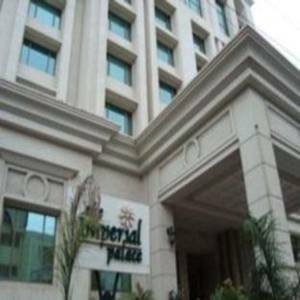 The Imperial Palace Hotel Rajkot is a five star hotel that is situated in the center of the city and easily accessible from Railway Station, Airport and Bus stand. 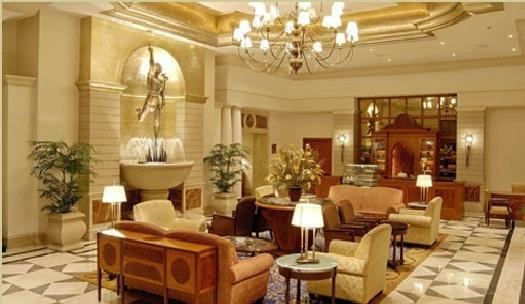 The hotel is also in the vicinity of the industrial area of the Rajkot. 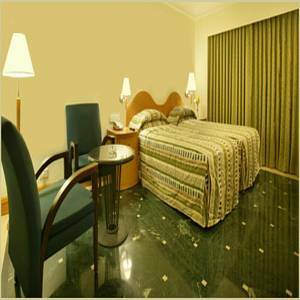 The hotel is elegant, well adorned and comes with all contemporary facilities. The hotel offers different kinds of accommodation to the guests namely Standard Room, Superior Room, Club Select Room, Club Deluxe Room, Suites, Executive Suite and Presidential Suite. The serve the guest with gastronomical delight, the hotel has a multi-cuisine restaurant, a coffee shop to relax and a pastry shop. 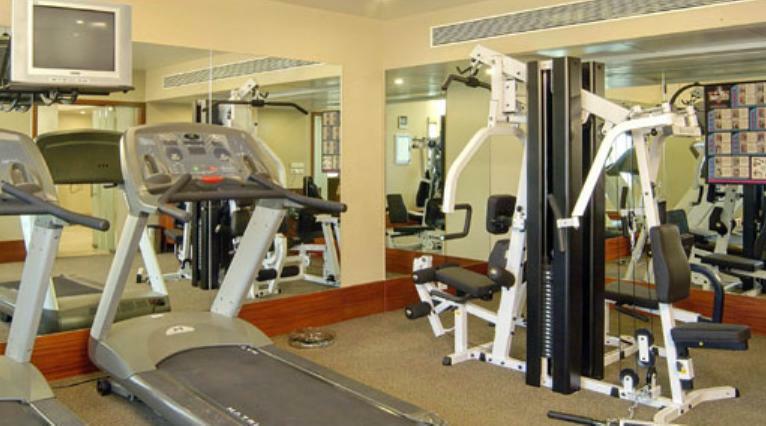 The hotel also has a beauty parlor, saloon, health club, gym, swimming pool and a boutique. 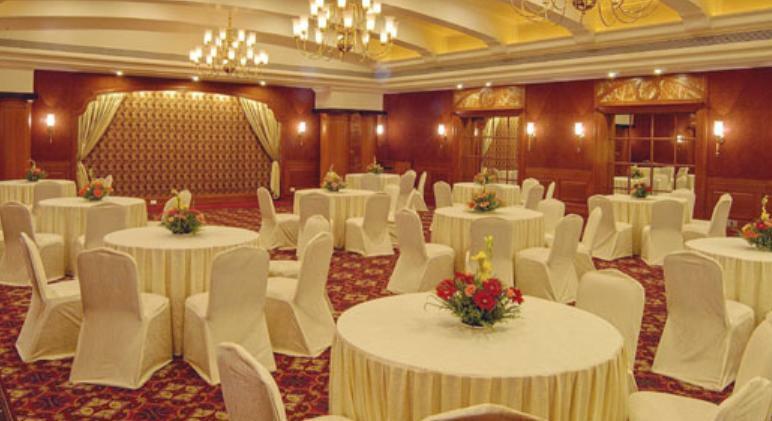 The hotel has two conference hall namely Regent and Regal and two board rooms namely Ambience and Elegance. These rooms come with it all the facilities needed to hold corporate meetings. 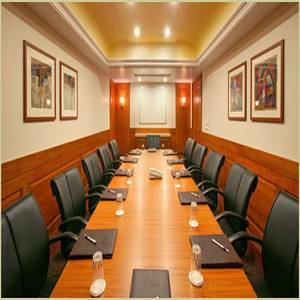 Apart from that, to facilitate the corporate clients a business center is also available. 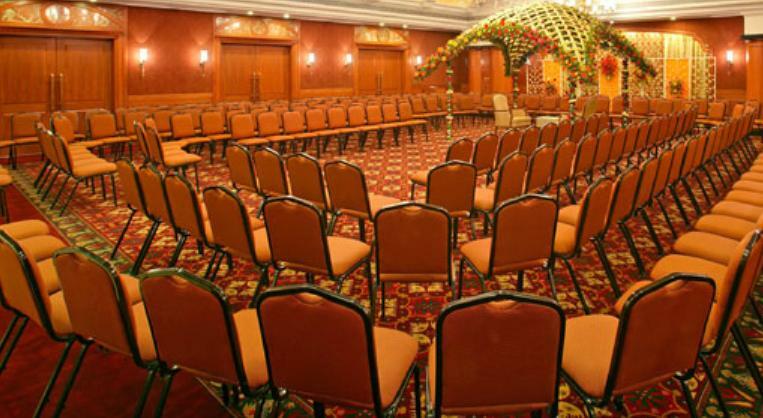 The hotel is also an ideal venue to hold wedding reception and all assistance like hall decoration, bridal/groom make over, floral/musical arrangement, food, and videography/photography and also the special accommodation for the first night will be done by the hotel. Further, the hotel also has got Jacuzzi, steam bath and massaging center. 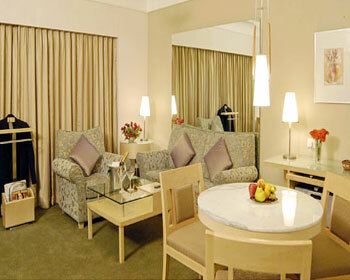 The rooms are elegant and well designed. 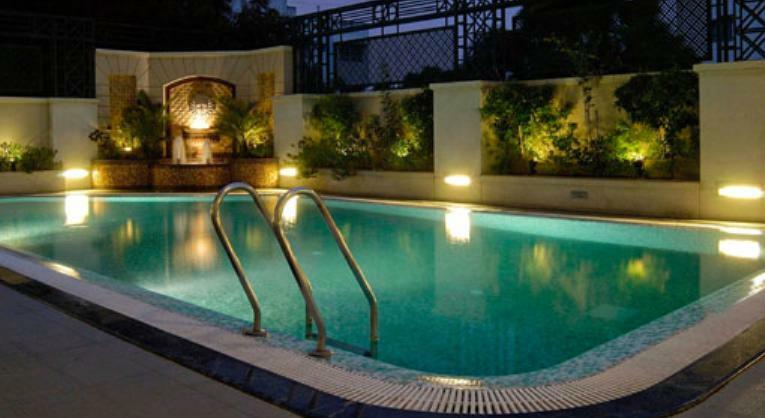 They are also well furnished and well maintained and ideal for those who look for luxury accommodation. The rooms are provided with amenities like 24 hrs room service, attached bathroom with hot/cold water, shower cubicles and bathtubs, air conditioner, internet, LCD Television with cable/satellite connection, CD/DVD players, telephone with STD/ISD, mini bar, in-room safe, executive writing desks, hair dryer, electronic door lock, iron/ironing board, newspaper, doctor on call, parking and much more facilities. As the name suggests these are superior to the standard room in elegance, space, furnishings, etc. 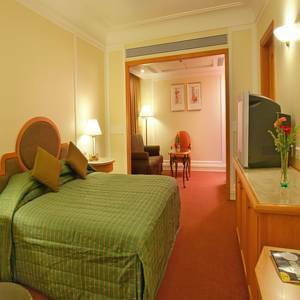 These are ideal for those looking for a good and comfortable accommodation in the center of the city. The amenities available are attached bathroom with hot/cold water, 24 hrs room service, air conditioner, shower cubicles and bathtubs, LCD Television with cable/satellite connection, internet, telephone with STD/ISD, CD/DVD players, in-room safe, mini bar, hair dryer, executive writing desks, electronic door lock, newspaper, iron/ironing board, parking, doctor on call and many more facilities. 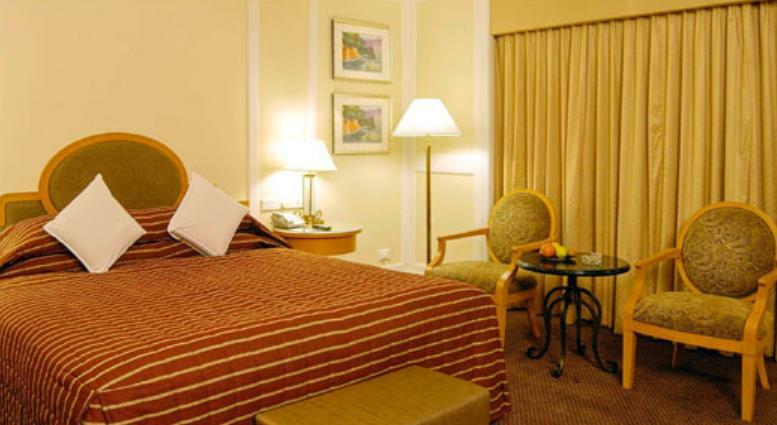 These are premium rooms that are spacious, luxurious, well adorned and elegant. These are ideal for business traveller who wants to stay comfortably. Some of the amenities are air conditioner, attached bathroom with hot/cold water, shower cubicles and bathtubs, 24 hrs room service, internet, LCD Television with cable/satellite connection, CD/DVD players, telephone with STD/ISD, mini bar, in-room safe, executive writing desks, hair dryer, newspaper, electronic door lock, doctor on call, parking, iron/ironing board, and many such facilities. 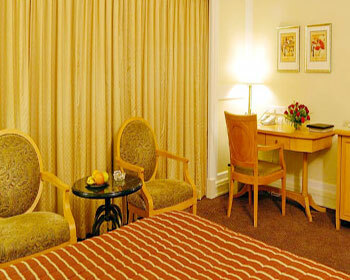 These are spacious, elegant and well furnished rooms. These are ideal for those who look for spacious rooms. These rooms come with amenities like shower cubicles and bathtubs, air conditioner, 24 hrs room service, attached bathroom with hot/cold water, LCD Television with cable/satellite connection, internet, telephone with STD/ISD, CD/DVD players, in-room safe, mini bar, executive writing desks, electronic door lock, parking, hair dryer, iron/ironing board, doctor on call, newspaper and many other facilities to make the stay of the guests comfortable. These are well adorned and elegant suite that are also spacious and luxurious and offers excellent convenient and comfortable. These are ideal for a family to stay. These rooms come with a living room and a bed room. The amenities provided are electronic door lock, shower cubicles and bathtubs, 24 hrs room service, air conditioner, LCD Television with cable/satellite connection, attached bathroom with hot/cold water, telephone with STD/ISD, internet, in-room safe, CD/DVD players, executive writing desks, mini bar, hair dryer, parking, doctor on call, iron/ironing board, newspaper, etc. 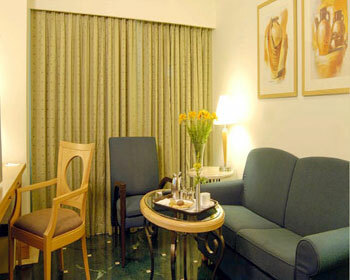 These are more spacious suites that are well furnished and well adorned. 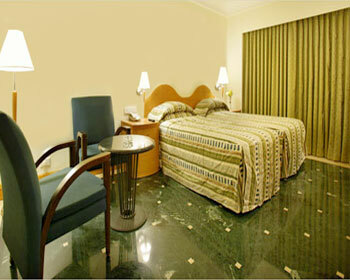 These rooms are provided with all the amenities to make the stay of the guests memorable. Further, they come with amenities like LCD Television with cable/satellite connection, shower cubicles and bathtubs, electronic door lock, air conditioner, 24 hrs room service, telephone with STD/ISD, attached bathroom with hot/cold water, in-room safe, internet, executive writing desks, CD/DVD players, iron/ironing board, parking, hair dryer, doctor on call, newspaper, mini bar, etc. As the name suggests, these are of highly luxurious and very spacious. 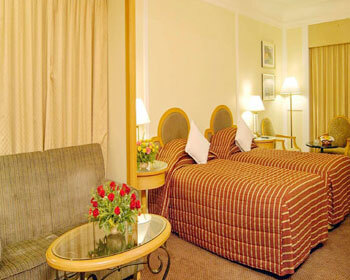 These rooms are also well furnished and elegantly decorated. These rooms are ideal for luxurious and cozy stay. The rooms are also warm and inviting. Other amenities that come with the rooms are electronic door lock, LCD Television with cable/satellite connection, air conditioner, shower cubicles and bathtubs, telephone with STD/ISD, 24 hrs room service, in-room safe, attached bathroom with hot/cold water, executive writing desks, internet, iron/ironing board, hair dryer, parking, doctor on call, mini bar, newspaper, CD/DVD players, etc. 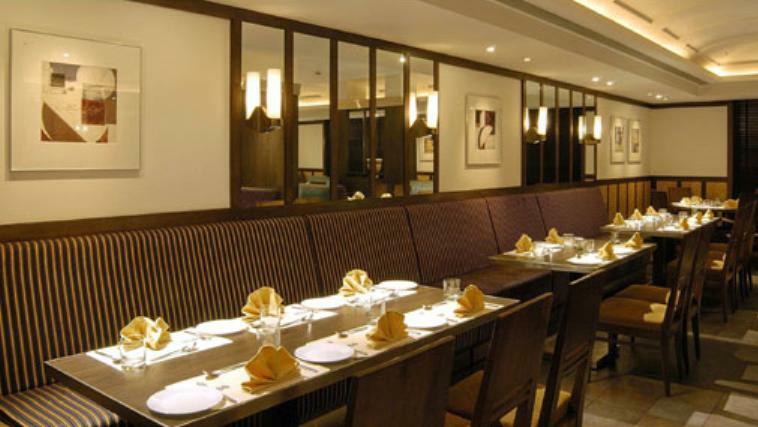 The 24 hrs delectable multi-cuisine restaurant serves Gujarati, Indian, Chinese and Continental cuisine. 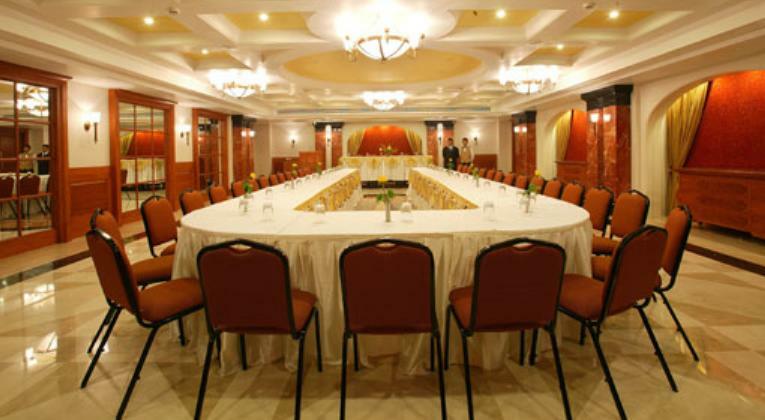 It is one of the fine dining restaurants of Rajkot. The guests are served with scrumptious local and international delicacies. 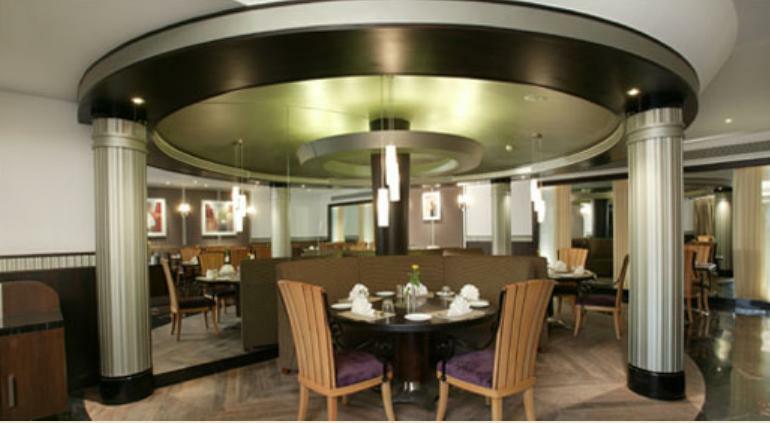 The restaurant is elegant and comes with inviting interiors. The courteous service by the restaurant staff and the delicious food makes this place to be visited as often as possible. 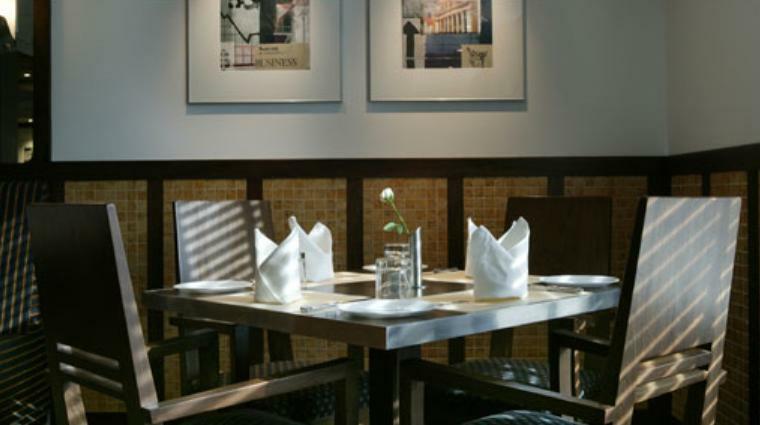 The restaurant offers dine in and in room dining facilities. It is also opened to outside guests. The 24 hrs coffee shop serves excellent and exotic coffee along with delicious snacks. It is also an ideal place to have quick meals. The snacks and finger food served here are mouth-watering. The coffee shop serves in the morning sumptuous buffet breakfast. The coffee shop also serves fast food of the region which makes it most sought after in the city. It is one of the famous cake shops in Rajkot. Through this the hotel satisfies its guests in bakery products as well. The cake shop has a wide variety of breads, delicious cakes, lip smacking pastries and very tempting desserts. The items are displayed in a most impressive manner which makes it quite popular among the hotel as well as local guests. The cake shop is also most sought out one in the city.